Everyone has an ideal life that they would like to one day lead. Committing yourself to a process that will eventually lead to this dream can be an overwhelming notion. Which relationships to nurture and which to abandon; which skills to polish and which to let rust; how to prioritize day-to-day tasks to move forward towards this vision can be a difficult path. There is no right way to get there, and no guarantee that you ever will; only a certainty that improving a little bit each day will move you closer. At Wild Life Distillery (WLD), we have made this approach to lifestyle and the craft distilling industry our personal commitment. By constant pursuit of personal betterment, we are on a path of continuous learning and growth in our industry. Extreme attention to detail is a result of this mentality, and we demonstrate this through all of our processes at the distillery. We are passionate about what we do, and look forward to sharing this passion with you. Co-founder of Wild Life Distillery, Keith Robinson’s personality is the ‘spirit’ of this company. With a passion for the outdoors, adventure and the road less travelled, Keith was raised and still resides in Canmore, Alberta. A genuine interest and dedication to discovering and delivering a quality product is a reflection of his time spent exploring the globe. Together with Matt, Keith attended an intensive whisky making course in Scotland. Here, he began to learn the great history of whisky production, and many of the secrets within the industry that are behind the tradition and inspired him to innovate flavours for the future. Visits to countless distilleries included the Strathearn Distillery of Perthsire, Rockrose Gin of Dunnet as well as Bruichladdich Distillery on the renowned Scottish island of Islay. The interactions and experiences from visiting the origins of Scotch whisky mixed with his Canadian roots, confirmed Keith’s dedication to develop the best spirits for the Bow Valley. Proficient in Spanish and a well-versed handy man, Keith added to his formal education and in 2010, graduated from Camosun College studying Business Administration and Marketing. Most recently, Keith has been perfecting his mixology skills bartending in the Bow Valley hospitality industry while establishing Wild Life Distillery. 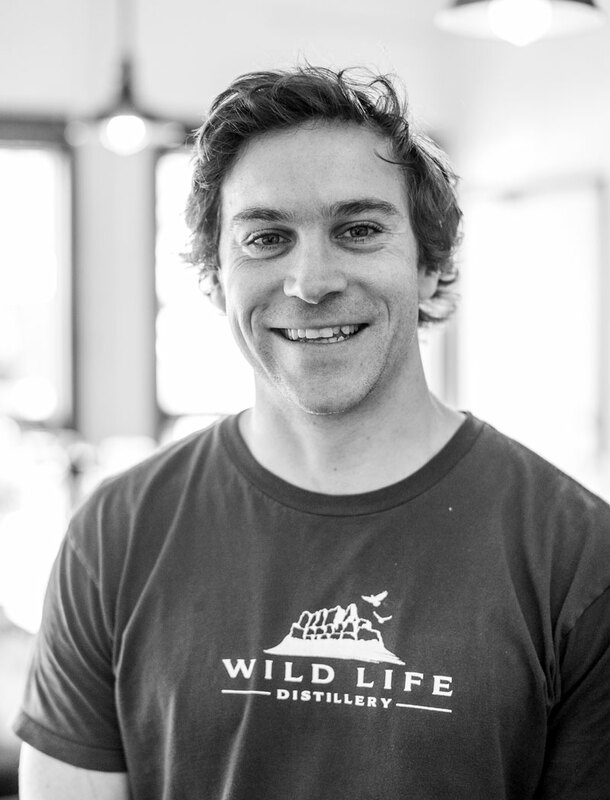 Co-founder of Wild Life Distillery, Matt Widmer was born and raised on the other side of the Rundle mountain range, in Banff, Alberta. Growing up in this tight-knit community, Matt’s core values of adventure, passion and hard-work have translated well into starting his own business. Prior to WLD, Matt has been managing his family owned and operated restaurant in Banff for the last 10 years. Through the hospitality industry, he has continued to build his knowledge of what it truly means to run a local small business. Together with Keith, he travelled to Scotland and reveled in the generations of whisky making knowledge and history. They attended an intensive whisky making course at Strathearn Distillery of Perthshire. Further they met the master distillers at Rockrose Gin of Dunnet Bay, and whisky legend Jim McEwan of Bruichladdich Distillery on the renowned island of Islay. Matt also attended a spirits course in Chicago, Illinois in the spring of 2012. Inspired by the experiences and interactions with distillers around the world, Matt is devoted to bringing quality spirits to the Bow Valley. In 2010, Matt graduated from the University of Victoria with a Bachelor of Science in kinesiology. It is Matt’s work ethic, patience and levelheaded personality that sustain his motivation to bring the best to whatever he does. His drive at Wild Life is no exception. A couple things people have been saying about us.